Enoch's Mom | A journey of healing through crafts, cooking, and love. Recently I’ve been thinking about my childhood and how it prepared me for my adult life. To be totally honest, nothing can really make losing a child ok, or even prepare you for what that’s like. But I think the experiences of my childhood helped me when I had to confront the realities of Enoch dying. I remember when I was young, after my brother died, my mom would take me to the cemetery to clean up my brother’s head stone and take him flowers. I think maybe it was a means of handling her grief, but she put a lot of time and energy into keeping his grave nice, and keeping flowers in the vases near his headstone. I didn’t always understand her desire to go to the cemetery every week, but it always struck me that my brother’s grave looked really nice when there were other graves that looked just about abandoned. They looked like no one cared enough to even visit once a year, let alone once a month. I could understand how that would happen to a grave that was really old, like a headstone from the 1930s, but I always wondered how people could leave their relatives’ graves in such a disarray when their relative had died recently. Especially sad to me were the graves in the children’s section that seemed abandoned. I understand now, why a mother and father might not go to the cemetery very often after losing their baby; facing the fact that your child is dead is extremely difficult. I know now that for some people, it’s easier to just forget about your child all together, than to go take flowers or a plush toy and confront their death on a regular basis. But as a child I couldn’t fathom leaving your child’s grave so poorly kept. And it really upset and worried me that some of the kids never had any flowers or plushies on their graves. I would often ask my mom to stop in the children’s section to visit their graves. I usually pulled a flower or two from the bouquet we brought for my brother and would save them for graves in the children’s section of the cemetery. When we would stop, I would read their names out loud, and read their birthdays and death days. I like to imagine that by saying their names out loud I did something. Like some kind of incantation, I imagined I could help them know they werent’t forgotten by acknowledging them by name. Sometimes we would do the math and figure out how old they were when they died, but sometimes their age at death was obvious. Because sometimes, their birthday and death day were the same day. I wondered about those babies and their families especially. How hard it was to not even get a full day with your baby. I wondered what went wrong, what could cause a beautiful new baby, someone who should just be starting out in life, to die. Now I know what can cause a baby to die. I wish I could say I didn’t, but I do. I never imagined as a child visiting those tiny headstones that I might one day join that club. That I too would have a child eligible to be buried in the section marked with the statue of children playing with lambs. But now that I’m here, I see how visiting the children’s section of the cemetery helped me prepare for losing a child. And I think I was right: saying their names out loud is a ritual that should not be stopped. Saying Enoch’s name, helps me feel like he did exist, and he isn’t forgotten, and I really hope that one of the parents of the kids in the children’s section found one of my flowers and said their child’s name out loud, and felt comfort that they weren’t the only one to acknowledge their child’s existence. 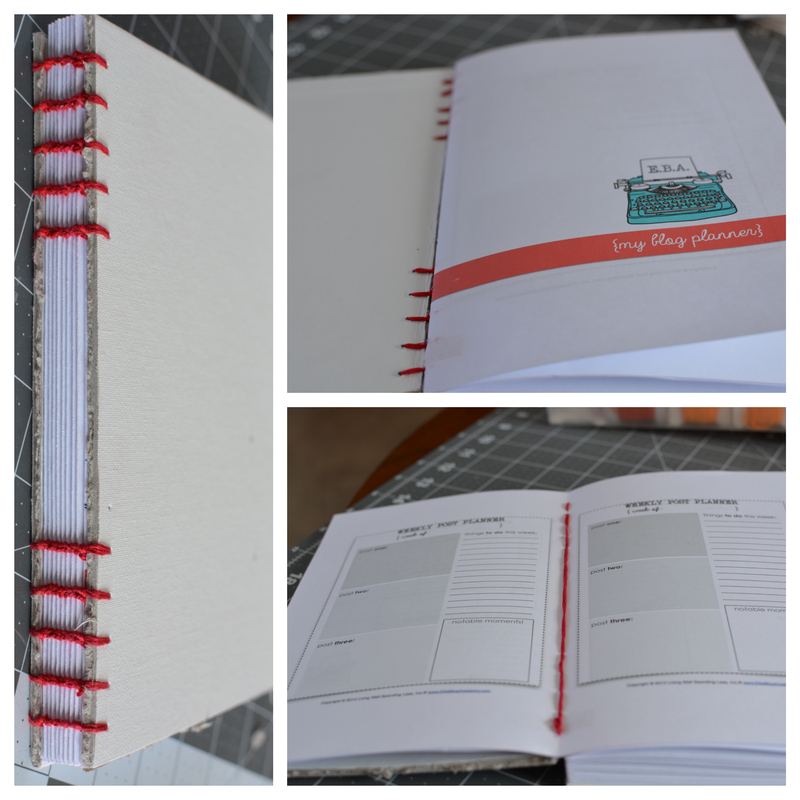 Make your own journal or photo album! So I don’t know about you guys but for me part of healing is writing. It’s natural for me to want to put down what I think and feel during times of stress but I’m terrible at consistently journaling, like every day. I like to use more smaller journals instead of less bigger ones, that way I actually fill up the journal I’m using instead of having dozens of half empty journals laying around. That’s why I love little journals like this, they’re cute and easy to fill up. And bonus! This journal could also be used as a cute, portable, photo album to slip in your purse or pocket to take your pictures with you places. (Or maybe that’s just an idea that appeals to me because I’m old/old-fashioned.) 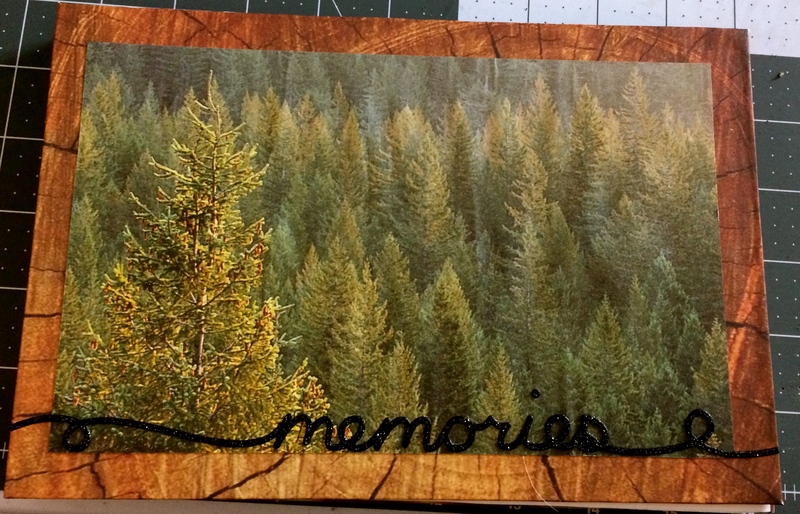 Want to make a photo journal? 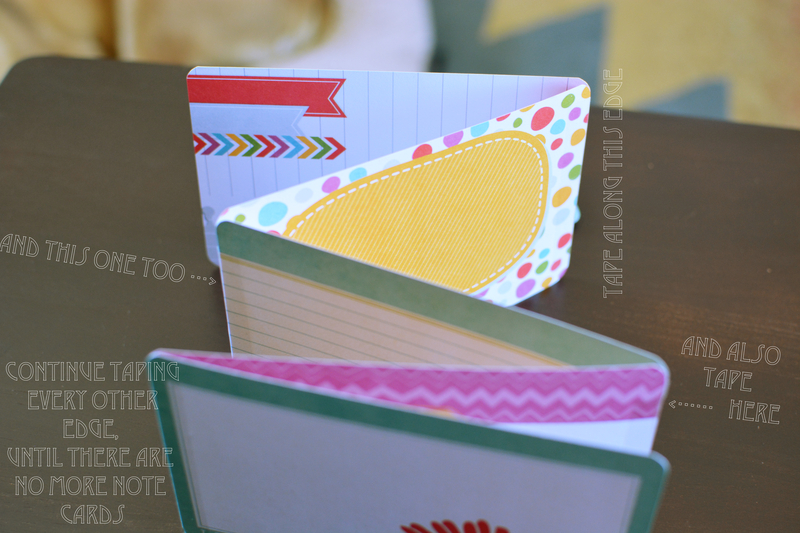 I picked up some cute printed note cards in the scrapbooking aisle at my local Walmart for approximately $3. 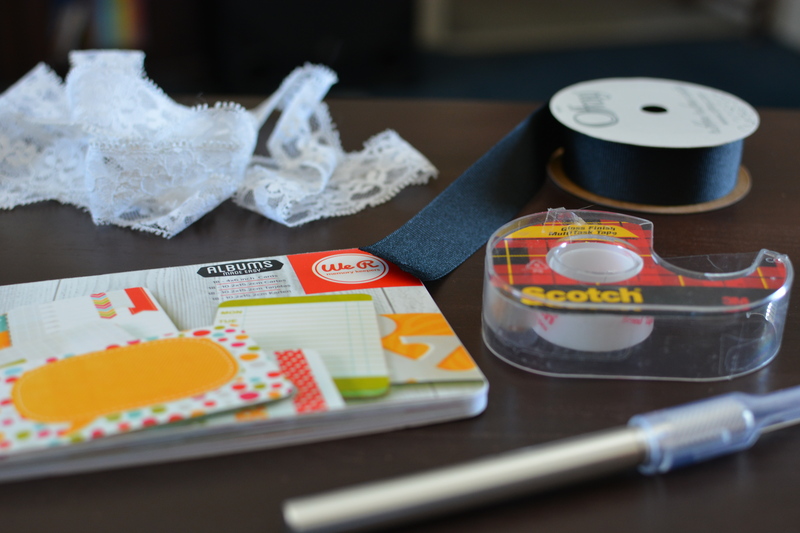 The rest of the supplies I already had at home, but in total this project shouldn’t cost more than $10-$12. The first step is to remove the notecards from the packaging they came in, mine were glued into a temporary booklet, so I carefully tore them out one at a time. Then I stacked them neatly in the order I wanted them to be in in the accordion. 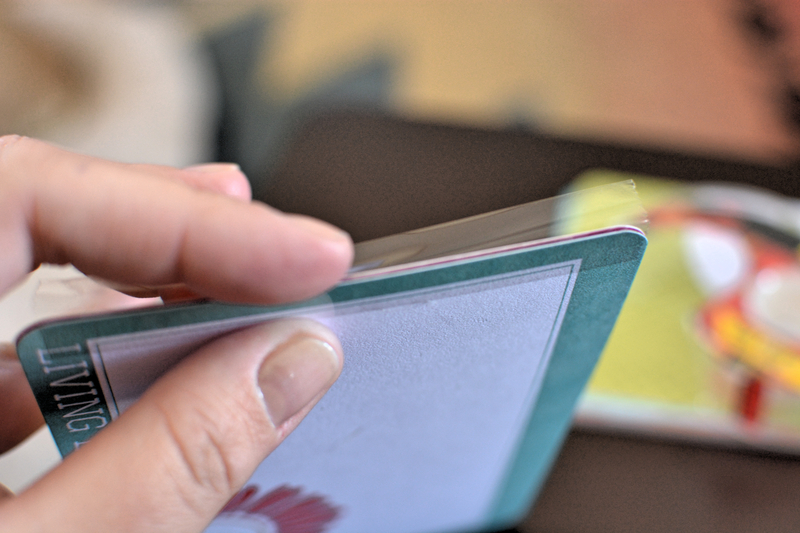 Continue taping until you’re out of of cards, or you are happy with the size of your photo album. 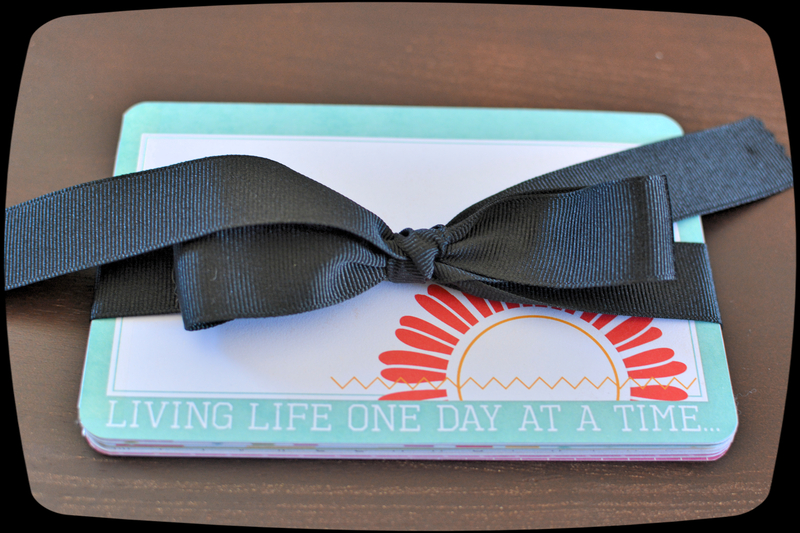 Once you’re done taping, as a finishing touch, tie the ribbon around the journal to keep it from flopping about. If you want you can glue the ribbon to the back cover so that it won’t slide off or get lost when you open the journal. I chose not to do that to this journal because I am still deciding if I like the black ribbon with these colors or not. And that’s it. 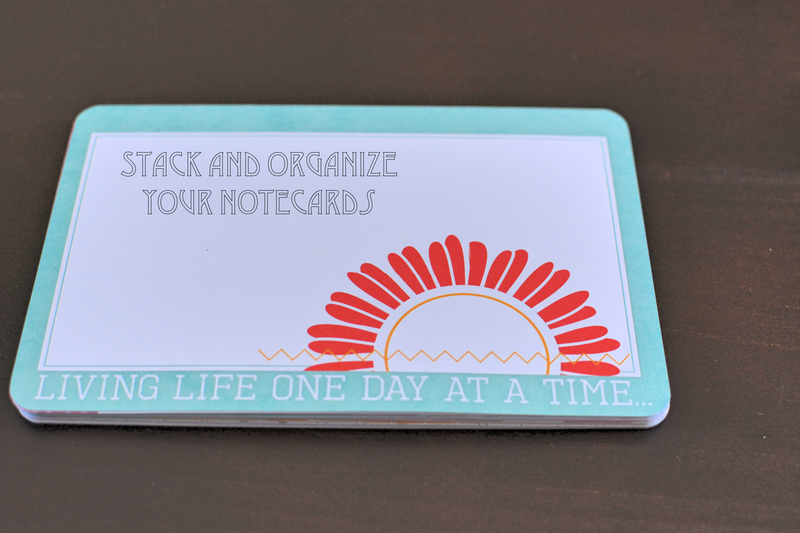 Now all you have to do is journal, decorate with stickers or stamps, and/or add the pictures you’d like in there. These are also really fun to give as personalized gifts, especially to older relatives. 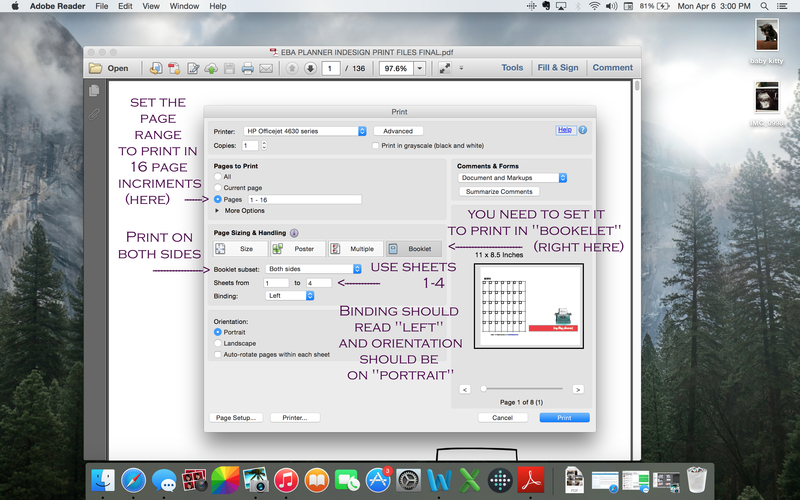 Print off pictures you think they’d like and put them in the photo album as a gift. 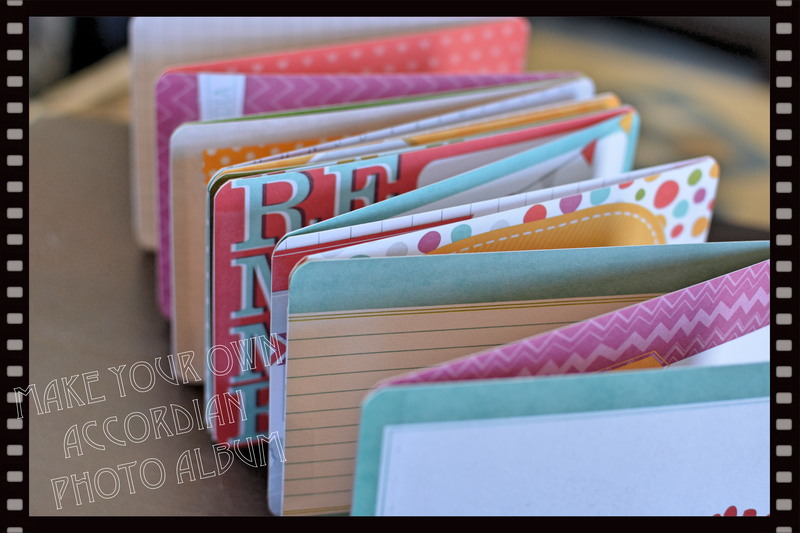 These are also a great project for teens to make to record their high school memories in. One photo album could be made for every year of high school to keep pictures and special notes and memories. P.S. Isn’t the sentiment on the cover card just perfect? So I went back and re-read my original post and while what I said there about the topics this blog will cover still stands, I would like to add something to the “why I started a blog in the first place” category. After re-reading that I got to thinking and if I want this blog to help even just one person I need to be totally brutally honest about why I’m here in the first place. I mean, if I just wanted to shout into the void I could easily journal-and I do. (And if you want to make a journal similar to the one pictured above stay tuned and I’ll do a tutorial in the near future). But I have a purpose for shouting into the void known as the internet: accountability. Here’s the deal: my life has not been perfect, or easy, or simple. A good percentage of my quarter century on this earth has been consumed by grief, stress, sadness, and complications. Things always seem to work out for me in the end, I’m not really sure why, but things often seem to take the long, bumpy, stressful, crazy road to working out. And in the past my methods of dealing with grief, stress, sadness, and mess haven’t exactly been the most healthy for me. I’ve chronically over-eaten for most of my life, was a heavy drinker as a teenager, actively injured myself (yes on purpose), and as an adult struggled with serious crazy over spending. But this time has to be different. This time I can’t half a chocolate cake for dinner every night, or drink like I don’t care about my liver (or if I wake up), or hurt myself. This time I can’t go out and just buy things for the sake of buying things. To be honest my husband and I have too many things as we stand now. Every day I put more things up for sale on the internet in hopes of simplifying my life some. This time I have to face grief, and sorrow, and stress head on and not crumble under the strain. And so that is where the blog comes in. Of my various means of dealing with stress in the past, over-eating and over-spending are the two I still struggle with to this day. And those are the two things I hope this blog will distract me from doing. I’m hoping that by being accountable to my readers (however few they may be) I will be able to come through my grief without racking up the biggest credit card bill ever. In fact, I’ve even been applying for jobs around my town to help keep me busy. My thought was that if I had a job to go to every day, even if just for a couple of hours, that would be a couple of hours I’m not at home stuffing my face and thinking up things I “need” (like the treadle sewing machine I got my heart set on yesterday…).